Safety first: As with any edible treat, Monitor your dog while chewing. Offer daily as a healthy edible treat to promote clean teeth and guns. For smaller dogs, if necessary, break into a smaller size. Always make sure your dog has access to plenty of fresh, clean water. 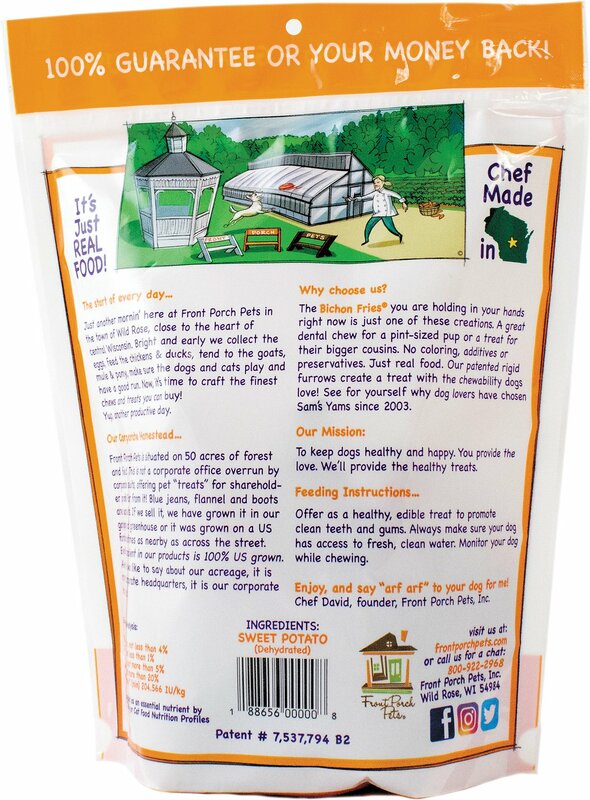 Because the rawhide sweet potato yams were out of stock, we ordered these for our Golden Retriever. I thought they were kind of skinny - not near the thickness of a regular French Fry. Our dog loved them, but we had to watch him very carefully so that he did not put the whole fry in his mouth. We actually ended up breaking them in pieces to give to him. 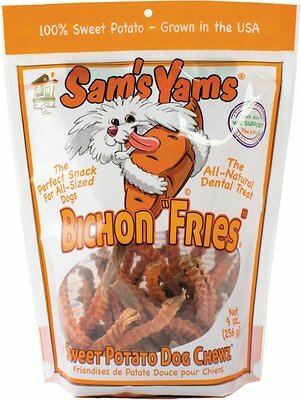 We think these would be excellent for a smaller dog, but for our Golden, we prefer the rawhide sweet potato yams. Also, I think if these were (maybe 1/4 inch) thicker, we would probably purchase them again. The only reason I rated a 3 and not recommended was the size of my dog, black lab. 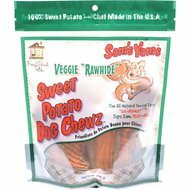 The fries are the same consistency as the sweet potato dog chewz's but I feel there's more chewing time with the original veggie rawhide. Thanks. I had bought this item before from nearby stores; item always fresh and soft. I ordered this item because it was on website and needed to order other items. 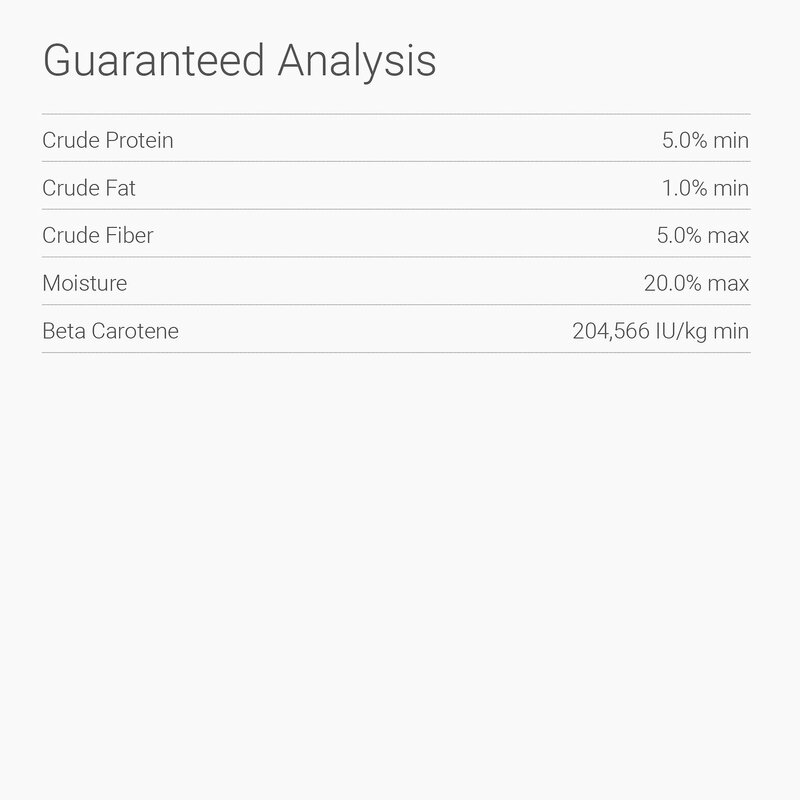 The product received was not fresh; sweet potatoe fries were extremely hard and dry. I will continue to purchase this item from stores near by. I would never order this item from this place. 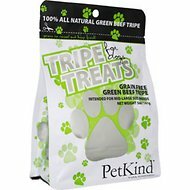 My pups love them I give them as special treats.I got them for the dogs that I sit for they are special to me. My golden retriever just loves having a Bichon "Fries" Sweet Potato treat after a long day. Watching football in bed and having a Frie makes life just a little better. Our Silly Swissy has a very delicate stomach and can't eat a number of great protein treats. This all natural treat is her favorite! It is great for training and keeping up with her teeth. She just loves them! Our Bichon absolutely is now addicted to these Bichon Fries!!!!! It's a winner for our 15 yr old who has bad teeth..they are also helping her drink more water. They are a hard but melt as pup chews. My Girls love these!!! Need bigger bag so they can last until my auto ship comes in once a month! And, they smell so good, I almost want to eat them myself. My dog really loves these yams, and I feel good giving them to him.